It’s late at night, you think you’ve heard something and start listening when sure enough, you hear foot steps. An intruder is in your home, heading for your room and time is of the essence. You reach for your biometric gun safe and it fails you. The seconds you now need to wait in order for you to try again seems like an eternity. You continue to have problems and are confronted by your intruder, defenseless. You reach for your biometric gun safe, it opens, you grab your gun and meet the intruder armed and ready to defend your family. Fingerprint safes can play a key role in securing your gun while providing fast access to the tools needed to defend your family, but which ones really work? 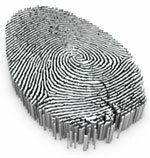 That is what this site is all about, honest reviews of biometric gun safes found on the market today. There are a ton of them, with all types of bells and whistles but what do you really need and what are you willing to pay? More importantly, do they really work? Ability to silence beeps and sounds – nothing worse then trying to be quite and having your safe chirp out messages! 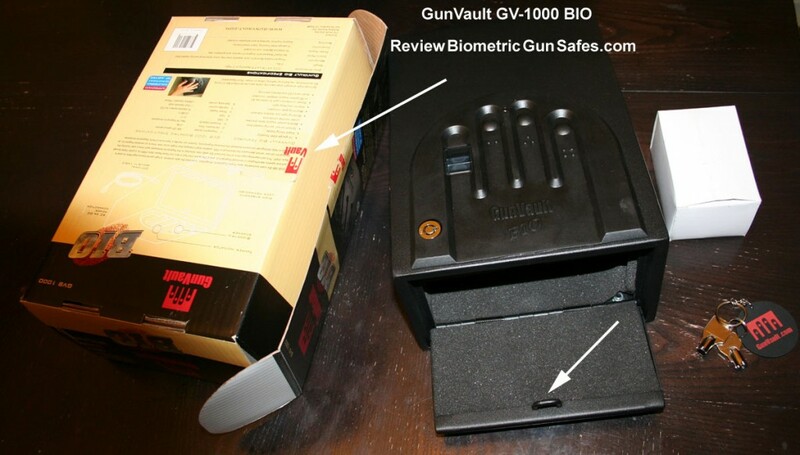 I purchased my GunVault Biometric Gun Safe Model# GV 1000 BIO yesterday for $200 brand at a local store. I was looking at a few different units when the fingerprint scan caught my eye; it was in demo mode and recognized any fingerprint, but I was reassured that it was very accurate. Was supposed to be the same as GV1000C-DLX model. First thing I did when I got home was open the package and to my surprise, the key was missing and without the key I was unable to scan my print. I went back to the store and they had my key in another box? Odd thing is, this package was sealed with a GunVault sticker and the keys come packaged inside the box. Yup, something is not right there, is it? Home again, I put a 9 volt battery inside and scanned my finger. The reading was straightforward and I put it to the test, and, it failed. I tried it again and it worked, then failed… In the video below, you’ll see I tested the biometric safe 10 times and 4 of those tests failed. I’ve also retested but the results didn’t get any better. The fingerprint recognition was 100% accurate – it’s the door that’s jamming. I called GunVault support and received a recording asking me to leave a message and I’d get a call back. I called on two occasions, both times left a message and both times received a call back a couple of hours later. I talked with GunVault Support who was very helpful and suggested two items I could try. Replace the 9 volt battery (which I tried). Some batteries limit the current needed to build up enough torque to open the gun safe. Said to look for batteries that have an experiation date of 5 years out. I was told at the store I bought my safe from that I could turn off the chirping noise. I asked support exactly how to do this and he said the beeps could not be tuned off. I need something that is quite and those loud chirps you hear in the video would seem like screaming in the middle of the night. I want the advantage of surprise on my side, not the intruder. I need something that is 100% reliable. I’m going to be stressed enough dealing with the intruder and when I stick my finger on the reader, I want that safe to open the first time around! If some batteries can cause the safe door not to open then there should be some type of wrong battery alert. I don’t feel comfortable hammering the latch loop and would not be 100% confident in the unit after that. GunVault support said there was absolutely no problem in returning the unit if I wanted, they would pay for everything and send me a working safe and that’s the type of support you want, unfortunately, this biometric gun safe is not for me. Turning off Keypad Sound: To disable the Keypad Sound (beeps), press and hold the Learn Button for two seconds, three times. The green light will blink three times and you will hear three beeps. Release the button. Then press and hold buttons two and three for five seconds. The Keypad Sound is now disabled, but this does not disable the alarm sound.